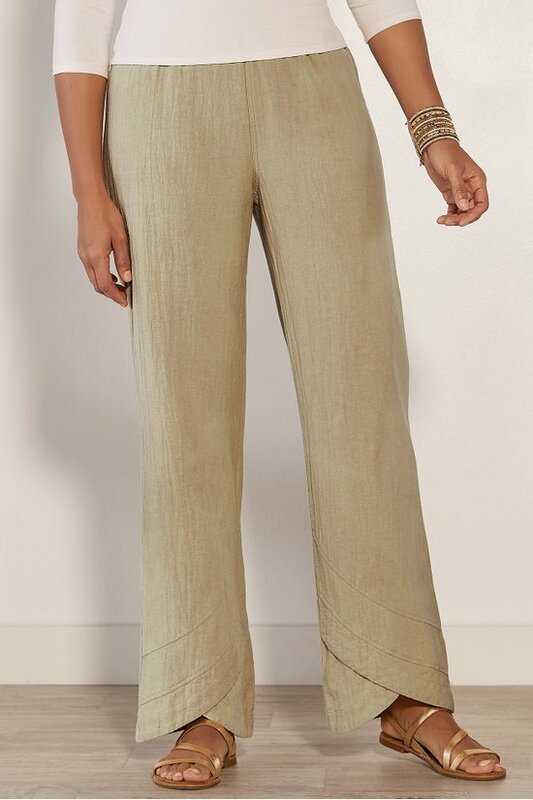 Curved seams create a tulip hem on these herringbone gauze pants of woven cotton with elastic waist. Misses 29" inseam. Sits just below natural waist.